20% Off Labor Day Sale Extended! 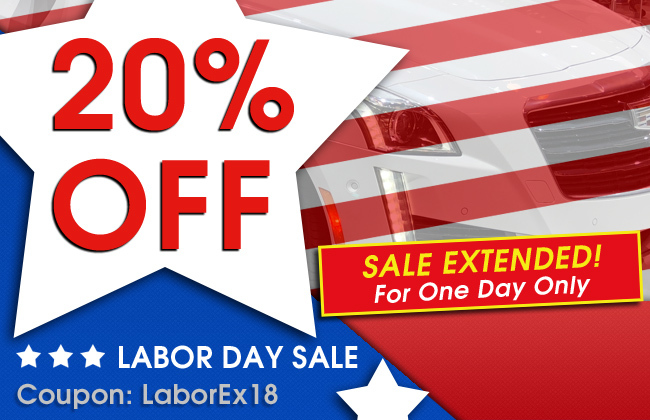 Our 20% off Labor Day sale has been extended for one more day through 9/4/2018 using coupon code LaborEx18. This is your last chance to save 20%! Thanks for the awesome customer support. I will tell all my detail buddies about you guys!